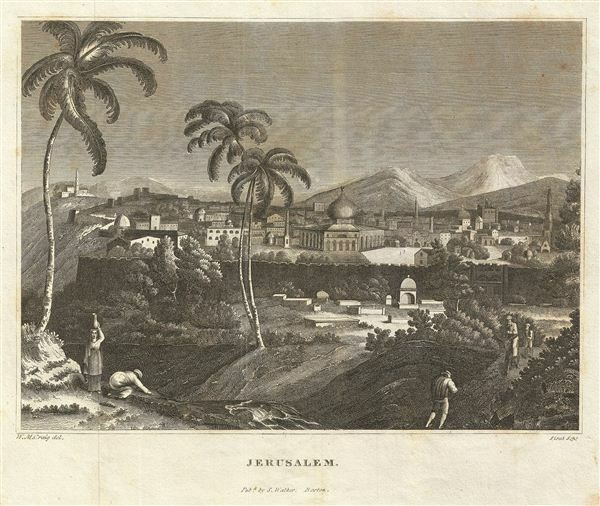 This is an uncommon example of the 1828 view of Jerusalem, Israel, drawn by W. M. Craig. It features a lovely view of one of the oldest cities of the world. The view features palm trees in the foreground and mountains in the background. This view was engraved by Stout as part of Malte-Brun's System of Geography, Vol. I., published in New York by Samuel Walker.